(dut)Please do not combine the authors Martin Greenberg and Martin H. Greenberg back together again! Please do *NOT* combine the authors/anthologists Martin Greenberg (1918-2013) and Martin H. Greenberg (1941-2011)! They are two different persons. 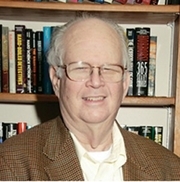 Martin H. Greenberg is currently considered a "single author." If one or more works are by a distinct, homonymous authors, go ahead and split the author. Martin H. Greenberg is composed of 23 names. You can examine and separate out names.